Soak the rice min one hour & drain the water. Dry the rice in newspaper as it helps to observe excess water. leave it for 30 mins & grind to a fine powder. 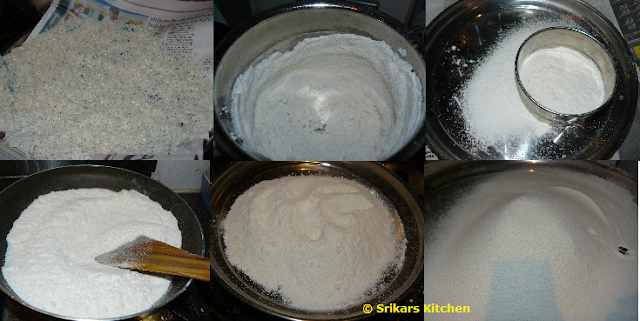 Sieve the flour & do this process 3 to 4 times. Dry roast the flour until it is free from dampness.Make it cool. If the flour has lumps then sieve the flour once again. Roast the urad dhal & grind to a fine powder. 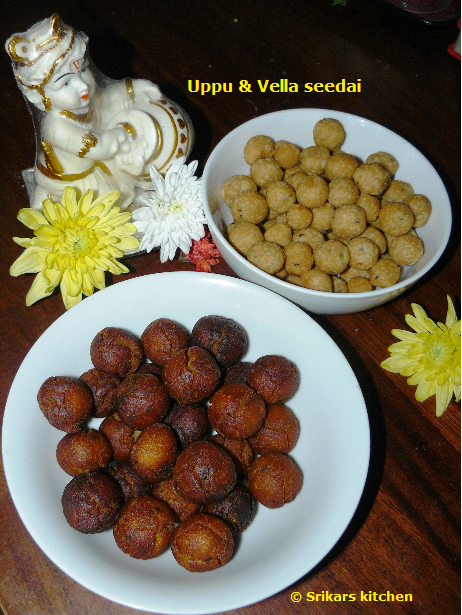 Take a bowl add rice flour,urad dhal powder,sesame seed, hing,salt, butter & mix well. Add water & make a soft dough. 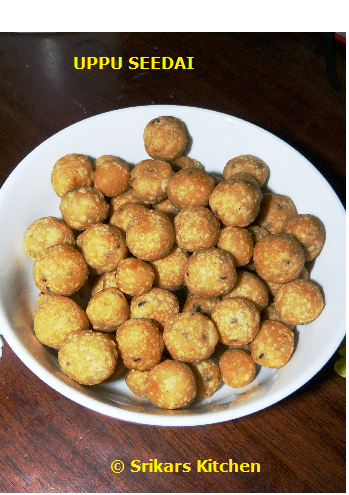 Take dough, make small round shape balls in the newspaper or tissue towel. Allow to rest for 15 mins. Heat oil in a medium flame, add the balls slowly & deep fry. Allow it cool & keep it in a air tight container. Disslove the jaggery in hot water & strain it. Allow to boil the jaggery & turn off the stove, add rice flour, cardamom & mix well. Add butter, sesame seed & mix well. Rest this dough for min one hour. The dough should be tender, before it cools down. Make a round shape balls & rest it 15 mins. Heat oil in a pan, deep fry in a medium flame. 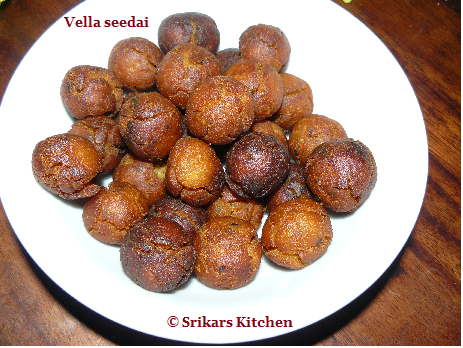 Delicious and yummy looking seedai for janmastami. Wonderful looking offerings. Dunno what to chose, both seedais are my favorite.